Modern life has made us all increasingly sedentary – hunched in front of computers, slumped in front of the TV or sitting for hours on car journeys and commutes. Walking is an easy form of exercise and no special equipment is needed, apart from comfortable, supportive shoes. June is a lovely month to get outside and walk, enjoying the sunshine and fresh green leaves on the trees, although it’s also a great thing to do all the year round. • Take your dog for a brisk early morning walk or offer to take a friend or neighbour’s pet. They’ll keep you company, give you confidence and set a pace. Just don’t let them stop to sniff every tree! • Take the stairs instead of the lift or escalator at work, in multistorey car parks and department stores. • Walk to the local shops, rather than driving to a supermarket, and pick up healthy fruit and veg, supporting small producers and retailers as a bonus. • Do the school run on foot, if possible, and encourage your children to walk to school. A generation ago, 70% of us walked to school – now it’s less than half. If you or your kids’ school can organize a rota of parents to accompany a number of children and walk to school, they’ll establish healthy lifelong habits and there’ll be less congestion and pollution from vehicles idling at the school gates. • Invite your friends and family to join you on a walk. As well as benefitting from easy exercise, you’ll get a chance to chat, breathe in some fresh air and see the beautiful British countryside. • Join a local walking group. It’s a fantastic way to make new friends; walks vary in length and difficulty to cater for all fitness levels, and you’ll get to explore parts of your area you may never have visited before and just can’t access by car. • Get up from your desk and take a lunchtime walk, maybe choosing to pick up your sandwich at a shop at least 20 minutes away; you’ll return to work reinvigorated and refreshed. Or arrange a walking meeting with your colleagues – it might be surprisingly productive! 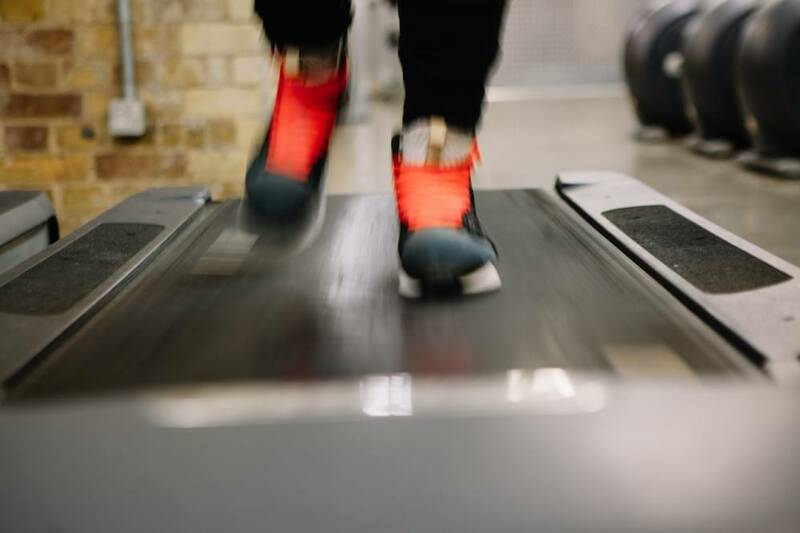 • If the weather’s bad, do a treadmill walk at the gym, increasing your pace and maybe adding an incline. There are lots of other ways that you can fit walking into your life, from scavenge hunts with the kids to orienteering, geocaching, town trails or a simple walk in the park. So, put your best foot forward and keep walking!